Why hide your favourite ornaments, vases and treasures away? 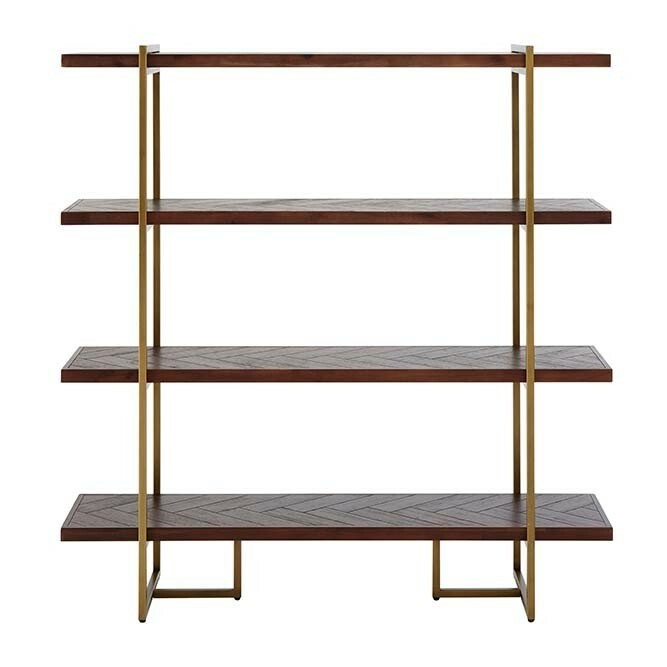 The gorgeous Herringbone Style Dark Wood & Antique Brass 4-Shelf Unit will store and display all of your home accessories in style. 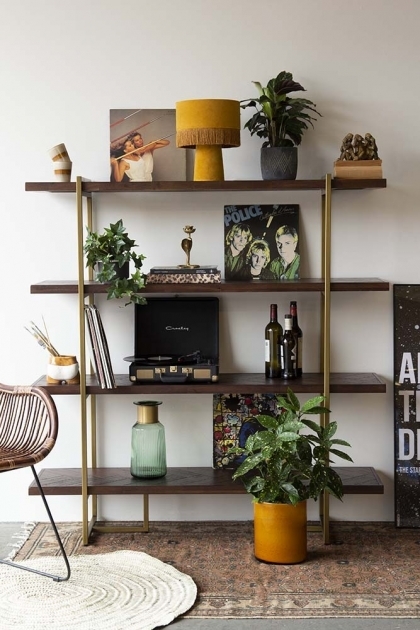 A 4-tier shelf unit, the 70’s style shelf with dark herringbone style wood and golden brackets is a free-standing unit that you can move and re-purpose around your living rooms, hallways, office and bedrooms for years to come. 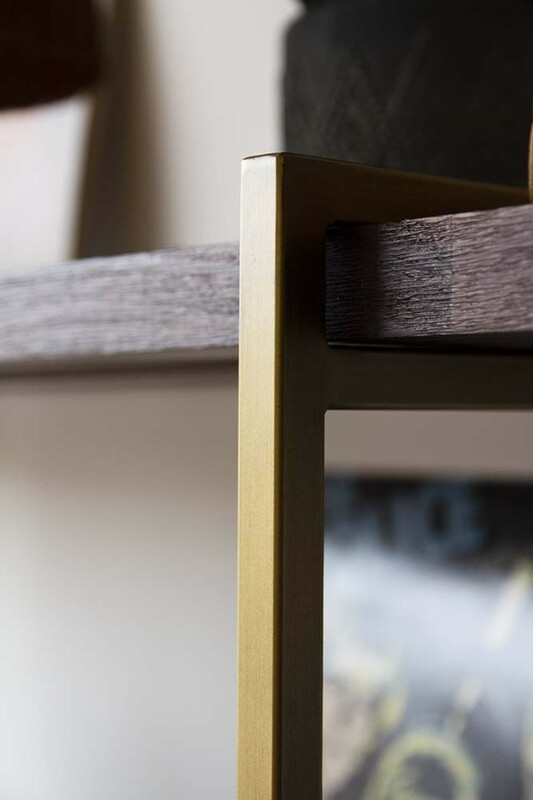 For impact, curate and style your shelves with your favourite accessories, artwork, mirrors and eclectic ornaments remembering to create interest with different heights, shapes and odd numbers (a design trick used by interior designers). A super stylish display unit, the Herringbone Style Dark Wood & Antique Brass 4-Shelf Unit is a timeless investment storage piece that will enhance and refine your interior style.